The Apple Music social feature that allows artists to share music and videos directly with listeners won't be as prominent in the upcoming redesign. Creating a social networks for artists may not be Apple’s forte. Apple’s first attempt at this was Ping in 2012, an initiative to add MySpace-like features to iTunes. It went nowhere. 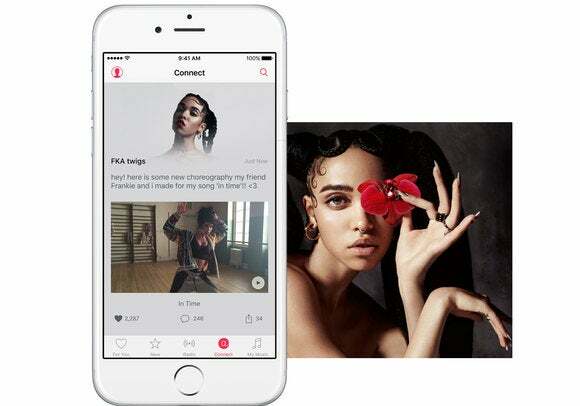 Now, Apple is looking to de-emphasize Connect, the social feature in Apple Music that gave artists direct access to share music and videos on the platform. According to 9to5Mac, Apple is expected to “demote” Connect as part of Apple Music’s upcoming iOS 10 revamp. Connect has been a main tab in Apple Music since the streaming service launched last summer, but sources are now saying that the feature will be somehow integrated into the For You tab. At the time it launched, Apple cited Connect’s social capabilities as one of the distinguishing factors between Apple Music and other music streaming services. We much prefer having a Playlists tab over Connect. But in the crowded social space, Connect, like Ping, has failed to take off. First of all, Connect doesn’t offer anything significantly new for artist-fan interactions. Facebook, YouTube, Twitter, Instagram, Snapchat, Vine, and Tumblr are already vying for artists to share new content. For example, Apple Music scored a big exclusive with Drake’s new album, Views, but the rapper also inked a content-partnership with Snapchat to promote the album. Listeners already have a social network of choice when it comes to getting updates from their favorite artists. That’s why the introduction of Connect seemed redundant and tone-deaf on Apple’s part to begin with. If you can’t wait until iOS 10 to see Connect go away, there is already a way to “demote” it yourself by going into your Restrictions settings. Intended for parents who don’t want their kids exposed to social media, turning off Connect replaces the tab with the more-functional Playlists. The story behind the story: By downgrading Connect, Apple is hoping to simplify Apple Music’s user interface. 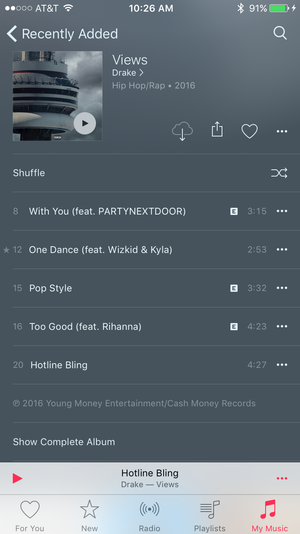 Previously 9to5Mac reported that Apple Music is expected to get a major redesign with iOS 10 to be announced at WWDC. This overhaul will include a new black-and-white look for albums, larger cover art, and the integration of song lyrics.